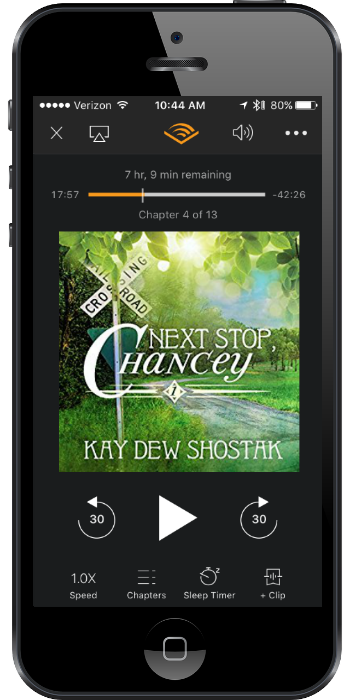 Audiobookworm Promotions is organizing an audiobook blog tour for Next Stop, Chancey, the first book in Kay Dew Shostak's Chancey series. The tour will run from Aug. 23rd to 29th and will have unlimited stops. Next Stop, Chancey is narrated by Suzanne Barbetta. 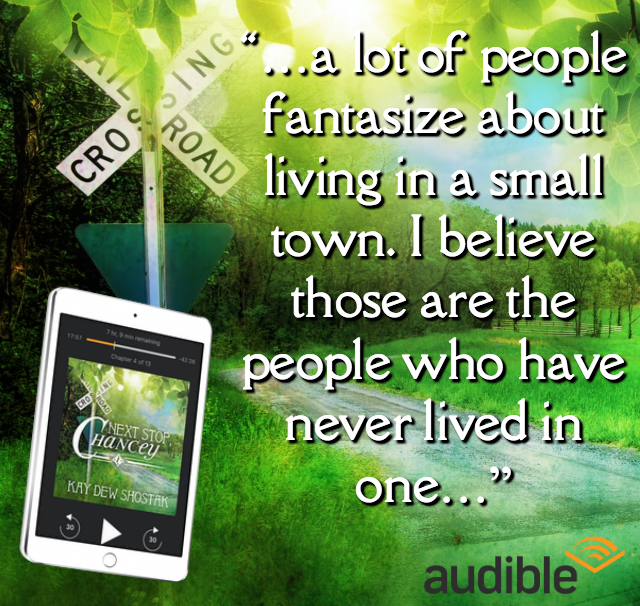 Reviewers will receive complimentary digital audiobook copies of each installment via Audible.com. Review copies will be distributed by July 23rd. Reviews must be of at least 3.5 stars. Post options for this tour include: Reviews, Spotlights, Audio Excerpts, Author Interviews, Narrator Interviews, Guest Posts, Top 10 Lists, Dream Casts, Music Playlists, and a Giveaway. Looking in your teenage daughter's purse is never a good idea. After all, it ended up with Carolina Jessup opening a bed & breakfast for railroad fanatics in a tiny Georgia mountain town. Carolina knows all about, and hates, small towns. 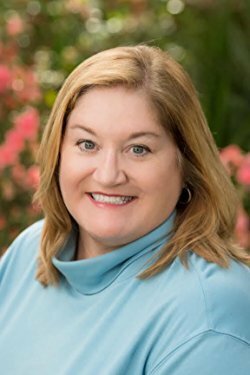 How did she end up leaving her wonderful Atlanta suburbs behind while making her husband's dreams come true? The town bully (who wears a lavender skirt and white gloves), an endless parade of teenagers through her house, and everybody's talk about a ghost have Carolina looking for an escape, or at least a way to move back home. Instead, she's front and center for all of Chancey's small town gossip. Unlike back home in the suburbs with privacy fences and automatic garage doors, everybody in Chancey thinks your business is their business and they all love the newest Chancey business. The B&B hosts a Senate candidate, a tea for the county fair beauty contestants, and railroad nuts who sit out by the tracks and record the sound of a train going by. Yet, nobody believes Carolina prefers the 'burbs. Oh, yeah, and if you just ignore a ghost, will it go away? 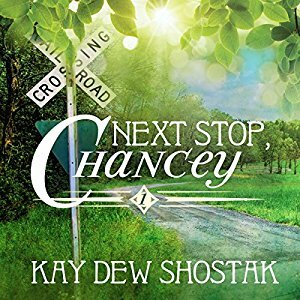 “A new voice in Southern Fiction” is how a recent reviewer labeled Kay Dew Shostak’s debut novel, Next Stop, Chancey. Kay grew up in the South, then moved around the country raising a family. Always a reader, being a writer was a dream she cultivated as a journalist and editor at a small town newspaper in northern Illinois. “Next Stop, Chancey”, published in 2015, was the first in the series set in the small, imaginary town of Chancey, Georgia. The fifth book in the series, “Kids are Chancey” will be released August 2017. Seeing the familiar and loved from new perspectives led Kay to write about the absurd, the beautiful, and the funny in her South in both her fiction and non-fiction. Visit Kay’s website at kaydewshostak.com to sign up for her newsletter and to read more about her journey. Kay is also on Facebook and twitter. All four Chancey books (along with the first in a new series set in Florida) are available on Amazon in print and eBook. Suzanne Barbetta is a Jersey girl, a blue collar kid from Jersey City who binged on B-Movie Musicals and Godzilla flicks as a kid. She became a voracious reader when she realized the magic of books allowed her to become anyone, anywhere, and in any world. 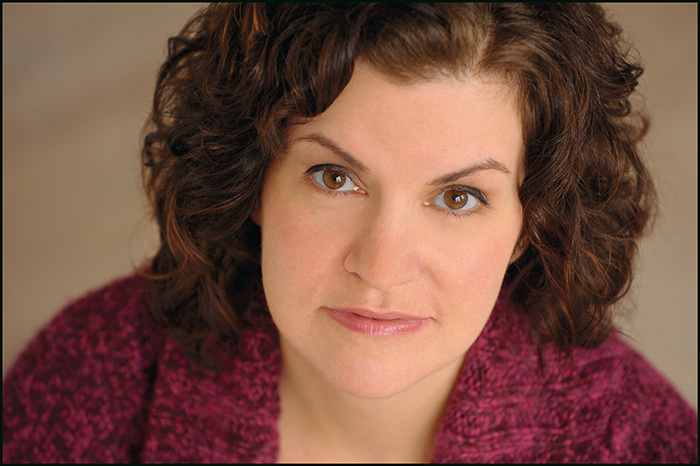 A storyteller and performer since the age of 5, she later apprenticed at 2 regional theaters earned her union card and became a proud member of SAG-AFTRA. She’s worked in theater, indie films and commercial voiceover. Audiobooks are a way to satisfy her pathological addiction to reading. Now based in NYC, she is also the voice of the Fierce, Funny, Fab Fangirls of the new Serial Box Publishing audio series, Geek Actually. Jul. 23rd: Review copies are distributed. Aug. 2nd: Interview questions due to me. Aug. 16th: Media packets are distributed via email.